In the wake of Singapore’s SEA Games gold wipeout, Soh Rui Yong has new goals in mind. 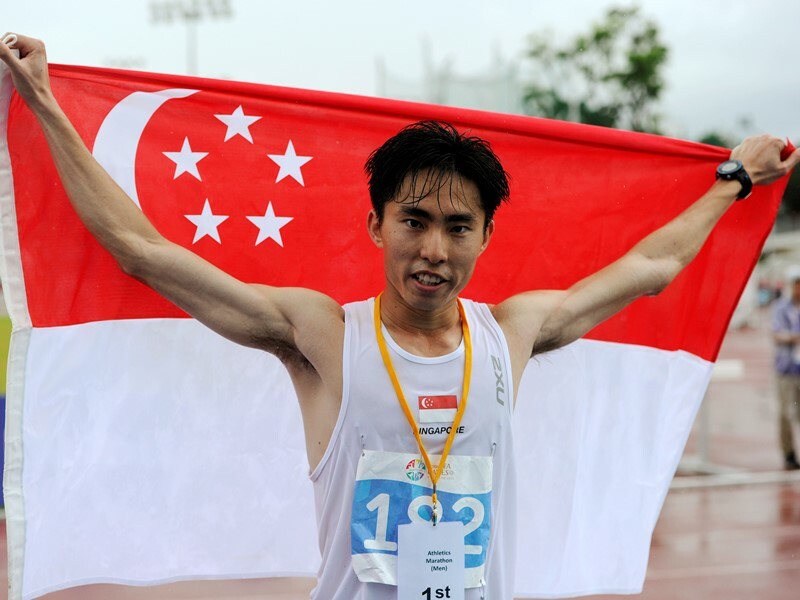 The 23-year-old university undergraduate, who recently won gold for the SEA Games’ men’s marathon held here in Singapore, revealed to the local press that he has his eyes set on qualifying for next year’s Olympics in Rio de Janeiro. He has been openly sharing his wisdom with other running enthusiasts, some of whom belong to Team Young NTUC Earth Runners, a group of passionate runners who aim to foster a supportive attitude among the public towards a greener tomorrow. At one of their regular running clinics, Soh talked about how he prepared for the 2015 SEA Games, and his personal approach toward marathons. We spoke to Soh about his experience of winning gold, what makes him proud to be a Singaporean, and the sinful food that he indulges in from time to time. How did you begin running, and how did you begin running marathons? I began running as a Secondary 1 boy in 2004, but only got more serious about it in JC (2008-2009). I ran my first marathon in Dec 2014, simply because I felt I was better at longer races. My 10km was always closer to world class than my 5km, and my Half Marathon was getting me to places such as the World Championships that the 10km was not. I decided that if I could translate this strength to the marathon, I could do very well at the event. 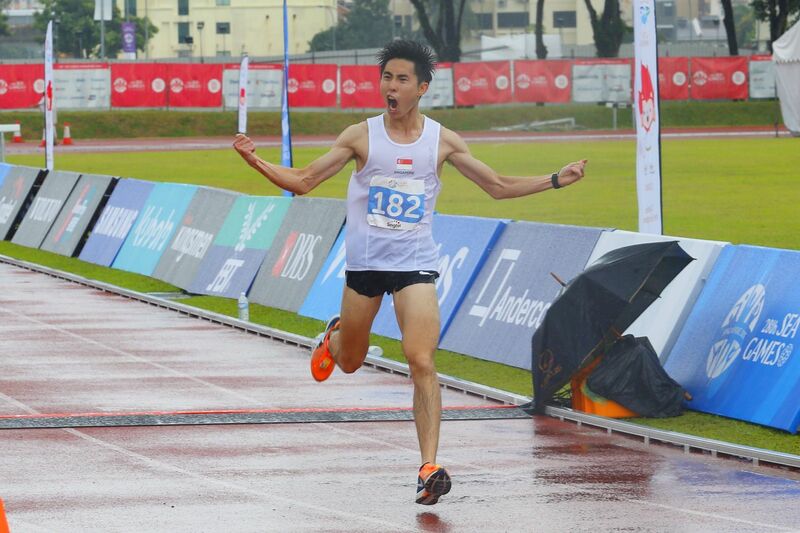 What is life like as a Singapore athlete? It’s a tough balance to do both athletics and school because of the time commitments required by both. That, combined with the high expectations placed on our athletes by the public, can make it stressful for athletes. In my case, I really don’t care very much what others have to say about me, especially when they don’t know me very well. At the end of the day, I just train hard, train smart, and go into every race looking to run my best. Not necessarily a best time, but always a best effort. So far, the approach has served me well. What is it like winning a gold medal for Singapore? Amazing. Winning the marathon in a dramatic sprint down the home straight in front of hundreds of fans is a moment that may not ever be topped in my life. The chance to share this special moment with my family, friends, and supporters is something that can only be done at a home meet, and I’m glad I took full advantage of my opportunity. What went through your mind while running the marathon? I run the marathon with a blank slate of mind, in order to be adaptable to any situation. When we entered the stadium for the last 500m though, and I heard the crowd screaming, the memories from my last 10 years spent in distance running flashed through my head. I had to tell myself to wake up, for there was still a race to be won! What about Singapore makes you proudest? Our efficiency, our security, and our cleanliness. I like burgers, beer and Ben & Jerry’s. Other than your own category, what other sport did you enjoy watching during the SEA Games? I honestly spent most of my time supporting my teammates at track and field. I enjoyed watching everyone performing in front of the home crowd in the National Stadium. I did manage to catch the men’s Water Polo final though, and saw my secondary school classmate Koh Jian Ying win the gold with his team! What advice do you have for any runners looking to go national? Dream big, train hard, and believe that anything is possible. And have a great smile.